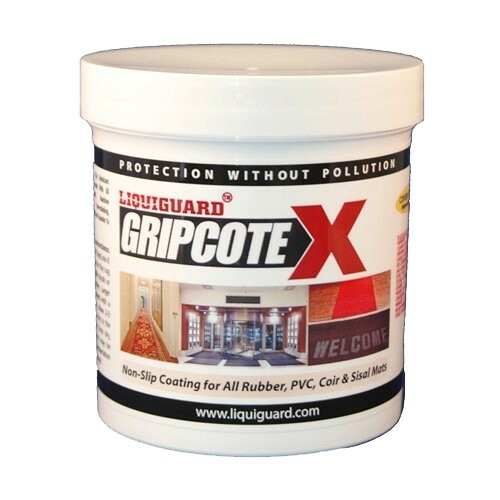 GripCote-X is a water based, eco-bio friendly coating that has been specifically formulated to provide an effective and lasting non-slip solution for PVC and rubber-backed mats in high traffic, commercial applications. It is composed of a tough and durable polymer that creates a strong bond with most materials. Its water and oil resistant structure will protect the coated surface from slipping, moving or bunching, greatly reducing the incidence of slip or trip and fall accidents. GripCote-X promotes spatial stability thus relieving the inconvenience of having to frequently reset the mats in their proper place. 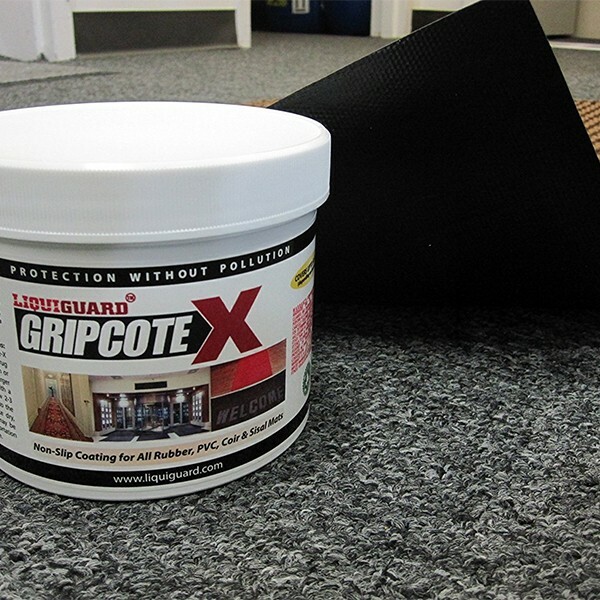 GripCote-X replaces double-sided tapes and the like with a more effective and lasting solution that can be easily brushed, rolled or sprayed on to the mats when used on larger surfaces. Additionally, unlike tapes, GripCote-X will not lose its effectiveness over time and will not leave a sticky residue or transfer to the substrate. Purchases may be combined with multiple products to reach the $99.00, but must be placed at the same time as one order. Packages weighing over 150 lbs. and/or over 108" in length and/or over 165" combined size (L X W X H) must be shipped using a Freight Carrier. The cost of freight to use a Freight Carrier will be incurred by the customer and paid directly to Floormat.com. Orders $99.99 and under will be charged a Flat Freight Rate of $14.95.